Glacier National Park Visitor Safety responded to an avalanche on Ursus Major this week. A group of three were ascending the slope to the climbers left of the “Christmas Couloir” on the South East face. 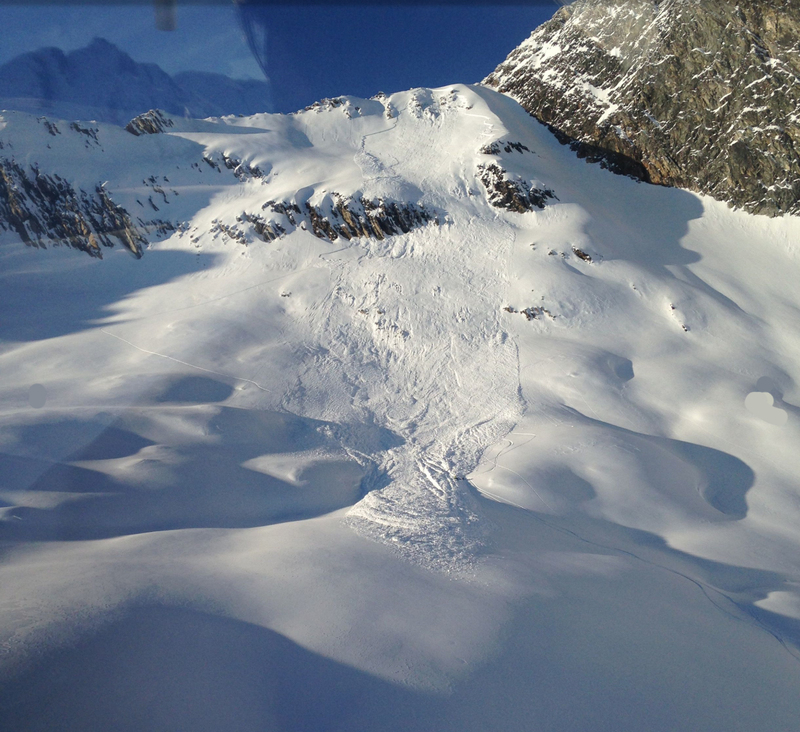 One group member had reached the ridge crest as the other two were caught in the avalanche and swept down slope. The crown was 30-100cm deep, 100m wide and ran for 700m. The avalanche initiated in steep rocky terrain, failing on a suspected sun crust. The partially buried person self extricated as the person on the ridge searched the debris from above. The third member was fully buried and located by a transceiver search 80cm under the snow surface. They suffered non-life threatening injuries, were flown out via helicopter and transferred to BC Ambulance. Parks Canada spokesperson Shelley Bird said Parks Canada Emergency Dispatch responded to the incident. 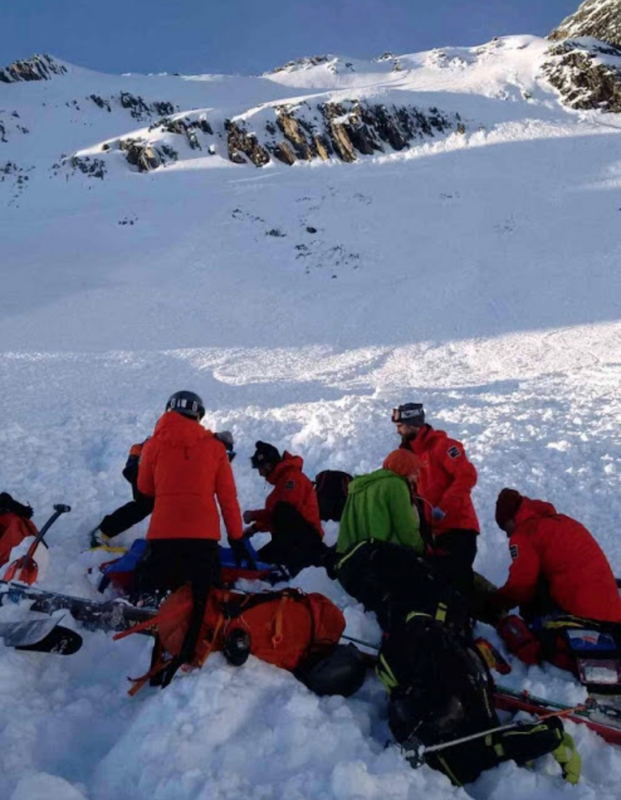 A separate group that was nearby when the avalanche came down used a cell phone to call for help. Bird said the party involved in the avalanche was very prepared with all of the right equipment and a high level of experience. “That’s really the take home here is making sure you have the proper equipment and knowledge for rescue,” said Bird. The avalanche danger will increase with the new snow so be sure to check Avalanche Canada’s local forecast before heading out into the backcountry.